Hello! 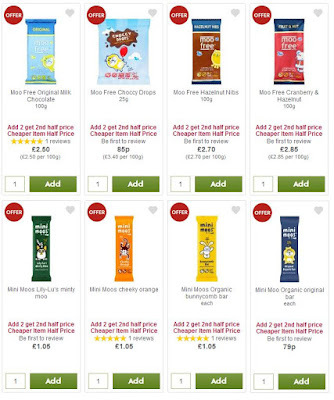 Waitrose have a good offer for Moo free chocolate. OooooOOOooo! Until the 16th May, all Moo free products are buy one get one half price. This includes small bars and chocolate drops! UPDATE: I went to my local Waitrose to realise that most free from items are buy one get one half price. Woohoo!